Freedom of expression is a fundamental right, protected under the Human Rights Act and under common law. Freedom of expression is protected more strongly in some contexts than others. In particular, a wide degree of tolerance is accorded to political speech and debate during election campaigns or referendums. This can extend to the expression of views that may shock, disturb or offend the deeply-held beliefs of others. Any restrictions must always be set out in law and be proportionate. 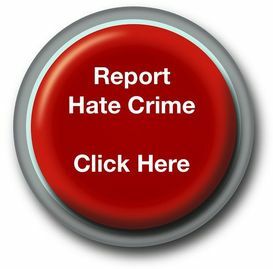 It is nonetheless a criminal offence to stir up hatred on racial or religious grounds or on the ground of sexual orientation in England and Wales. Offensive or insulting language may also constitute harassment. How does the law apply? In England and Wales, speech or behaviour which stirs up racial or religious hatred or hatred on the grounds of sexual orientation is a criminal offence under the Public Order Act. In Scotland, only the parts of the Public Order Act prohibiting racial hatred are in force. Scotland has its own legislation for racial harassment and other forms of hate crime in respect of religion, sexual orientation, transgender and disability. Where can I find guidance? The Electoral Commission provides guidance for candidates or agents on their website. Who should I contact if I want to report hate speech during an election or referendum? Challenge the individual who has made the statement and/or report it to the relevant political party.